Show us why you "heart" Huntsville by tagging your Twitter, Facebook, and Instagram photos with the hashtag #iHeartHsv! We love Huntsville/Madison County, Alabama. There&apos;s just something extra special about being greeted by a 36-story tall Saturn V moon rocket or gathering with friends in beautiful downtown Huntsville overlooking the lagoon in Big Spring International Park. Or grabbing a local craft-beer from one of Huntsville/Madison County&apos;s 10 local breweries. Or catching a show at the Von Braun Center, named for an explorer and pioneer who helped make a nation&apos;s dream to land mankind on the moon come true. You get the idea. 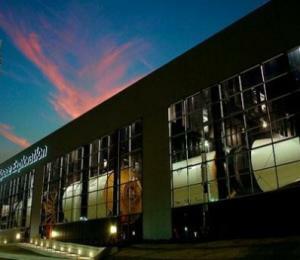 We could go on and on, because that&apos;s just what is so great about Huntsville---there&apos;s so much to do and see! We don&apos;t want to just go on and on about why we love Huntsville/Madison County. We want you to show us what you love most...and you could win big for it! Each day from Friday, February 1 until Thursday, February 14, we&apos;ll be awarding our favorite #iHeartHsv photos with a pretty amazing prize pack. From a free stay at a Huntsville/Madison County hotel, #iHeartHsv t-shirts, tickets to shows and other things to do around town and so much more, it would be a shame not to enter! Look for the prompt: We’ll post each day’s prompt at 8 a.m. on our Facebook, Twitter, and Instagram accounts. One day we might ask you to show us your favorite dining spot, or perhaps we&apos;ll ask which view you love the most in Madison County… you’ll just have to follow along on social to find out! Post: How will you enter? Respond to the day’s prompt with your BEST photo or video response and use the hashtag #iHeartHsv! It’s that easy. Win: Winners will be selected by a committee of CVB team members based on use of the hashtag #iHeartHsv, relevance to the day&apos;s prompt and pictures that are deemed to best display the uniqueness of beauty and culture of Huntsville/Madison County as a visitor destination. No cheating, either! To be eligible to win each photo must be originally taken by the entrant. Each day&apos;s winner will be announced at 8:30 p.m. CST each night of the contest. We have over 200 prizes to give away from your favorite Huntsville hotels, restaurants, attractions, and more. There&apos;s a different prize package for each day of the #iHeartHsv campaign, so be sure to stay involved for the whole two weeks! Stay tuned for the full list of prizes. 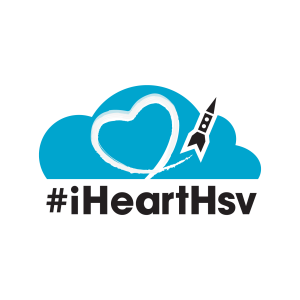 The #iHeartHsv social media campaign will run from Friday, February 1st through Thursday, February 14th. Online! Post photos using the hashtag #iHeartHsv on Facebook, Twitter, and Instagram. Be sure to check your Facebook privacy settings to ensure we can find your hashtags. 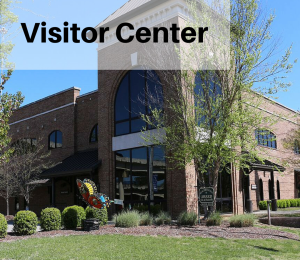 If you are unsure of your Facebook privacy settings, post directly to the Huntsville/Madison County Convention & Visitors Bureau&apos;s Facebook wall. Want to be extra sure we see your pic? Tag @Go2HuntsvilleAL on Twitter, @VisitHuntsvilleAL on Instagram and @Huntsville-Madison County Convention & Visitors Bureau on Facebook along with hashtag #iHeartHsv and your response to the day&apos;s prompt/theme. Be sure to follow the Huntsville/Madison County CVB&apos;s social media channels to find out the theme for the day&apos;s social chatter. Join the #iHeartHsv tweetchat - January 31, 8 p.m. CST. A few lucky participants will win some Huntsville swag!